A wonderful way to use up those summer vegetables! • 1 cup water or 1 can Swanson's® chicken broth or beef broth, enough to cover the vegetables. 3. Pour over the crushed tomatoes or tomato sauce with broth or 1 cup of water. 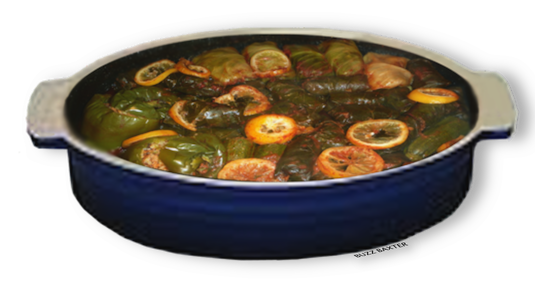 Cover and cook in a preheated 350℉ oven for about 1 - 1½ hours. 4. Try this dish served with a dollop of  Mahdzoon (YOGURT) over the filled vegetables.